Appraised 11/2017. Waterfront home designed by the acclaimed Parker Walter Group for its discerning current owner who desired a home of extraordinary quality. 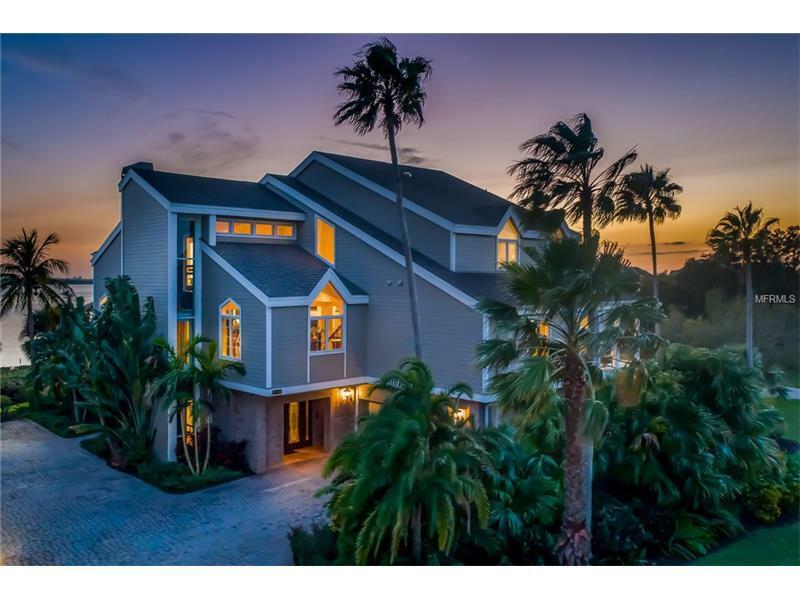 This spacious 5,615, -square-foot, five-bedroom, four-and-a-half-bath residence is like no other on Tidy Island, a community that offers complete value of maintenance-free living and waterfront insurance. Great care was taken to assure that every detail, from the Brazilian cherry floors to the cypress-lined ceilings exemplified a level of perfection that is entirely uncommon. The home, which spans two residential lots, welcomes guests through a pair of tall wood and leaded glass doors. The elegant stairway leads to the large main living area of great room design, with distinct but open spaces and a kitchen that would delight the most cultivated epicurean. The kitchen’s large island provides ample room for both for food preparation and dining. The Sub-Zero refrigerator, Wolf oven and range with an intricate onyx backsplash of basket weave design and dual Fisher-Paykel dishwashers beg to be utilized in entertaining the home’s guests, who are sure to be captivated by the outstanding views of Sarasota Bay. Volume ceilings draw the eyes upwards to the open loft currently an office. Allow extra time to appreciate the exhaustive complement of amenities, such as automated lighting systems, electronic window and sliding glass door shades. Even the pool has remotes to control heating, lighting and rock waterfall overlooking 100-foot waterfront.